Travis Scott's way to his girl's heart? Expensive jewelry ... inspired by his own hit song. 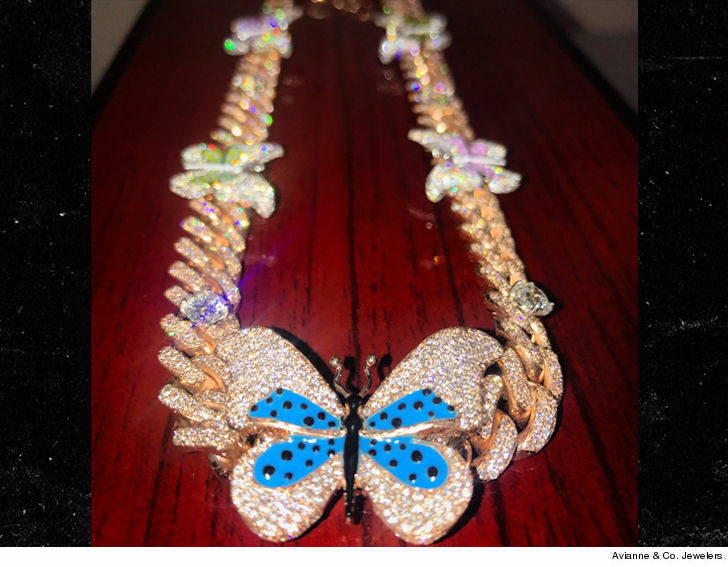 The rapper's been busy showering Kylie Jenner with birthday gifts this week, including this diamond necklace with a pendant related to his track, "Butterfly Effect." We're told Travis reached out to jeweler Elliot Avianne 2 weeks ago to get it done in time for her bday. The piece is made up of 28 carats of VVS diamonds, and we're told it set the rapper back about $60,000. We know Travis also went to the movies with Kylie for her b-day, but that's not all ... he took a page out of Kanye's book and set up a private orchestra show for her too.